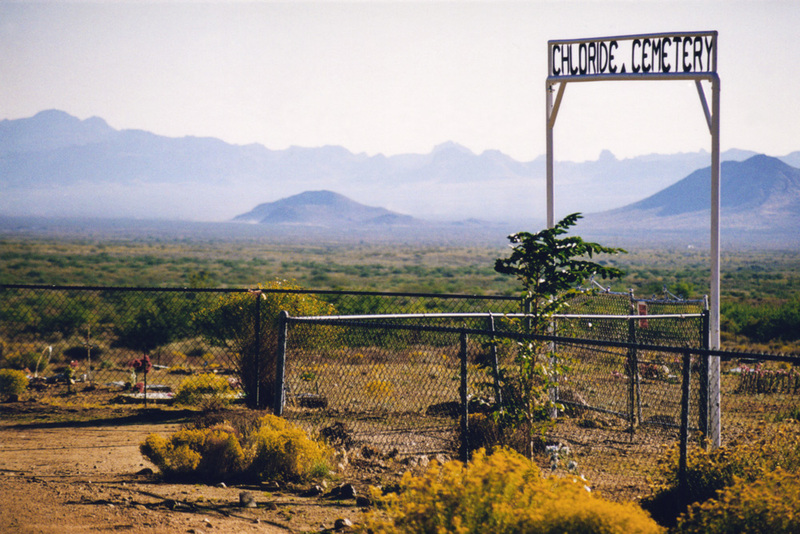 Chloride was one of the earliest mining camps in the Arizona Territory. 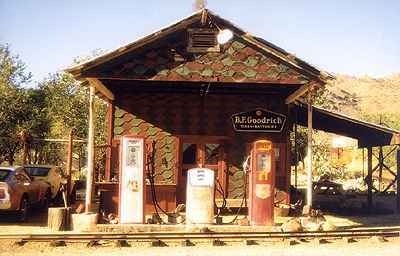 Named for silver chloride ore, the town grew from the Silver Hill strike of the 1860s. Reaching the isolated Silver Hill mines required taking a river steamboat 300 miles upstream from Yuma to Hardyville (near today's Bullhead City), and then crossing 38 miles of unforgiving desert. It could be dangerous territory. 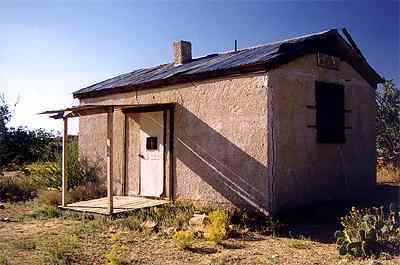 In 1866, Hualapai Indians commandeered some miner's guns, shooting one and killing two more by throwing rocks down their mine shaft. They needed guns in order to protect themselves from the military who were on extermination orders, so that the white man could have the springs for cattle, and the ore for the miners. But fortune seekers continued to come and by 1900, the town reached a population of 2,000.